REDONDO BEACH, Calif.–The U.S. Navy will get a peek at a future where high energy laser weapons could defend its ships against attack under a contract awarded Oct. 22 to Northrop Grumman by the Office of Naval Research. 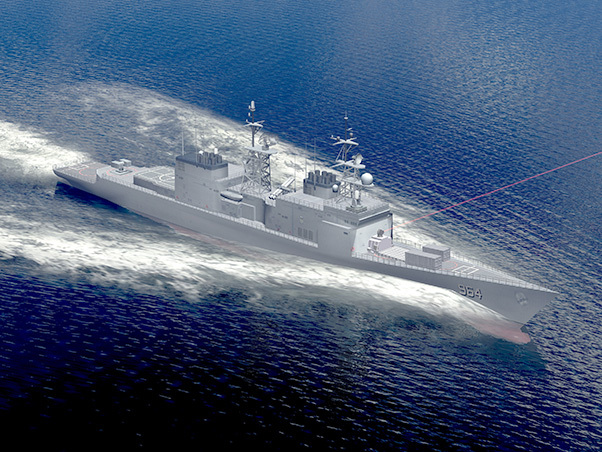 Under the three-phase Laser Weapon System Demonstrator contract, the company will design, produce, integrate, and support the shipboard testing of a 150-kilowatt-class solid state (electric) laser weapon system. The initial award of $53 million will support work planned for the next 12 months. The contract could grow to a total value of $91 million over 34 months if ONR exercises all of its contract options. During Phase 1 of the LWSD contract, Northrop Grumman will develop a detailed design for the new system. Phase 2 will include assembly and ground test of the system, while Phase 3 will comprise at-sea testing of the system aboard the Navy’s Self Defense Test Ship. 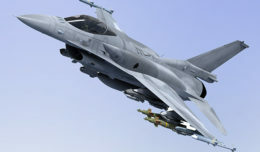 The Navy will lead this testing with Northrop Grumman providing technical support. The SDTS is the former USS Paul F. Foster (DD-964). 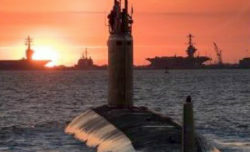 According to Renard, Northrop Grumman’s LWSD is well suited to support the Navy’s planned initial testing on the SDTS. The company has designed its system to be installed, however, with minimal modification or additional costs, for demonstration on the Navy’s DDG-51 FLT II class destroyers. Future Navy laser weapon systems could eventually protect a wide array of naval platforms from advanced surface and air threats.